Skating is one the most popular winter activities in Toronto. There are indoor and outdoor rinks surrounding 90 Eastdale Avenue and 2 Secord Avenue for everyone to enjoy all season long. 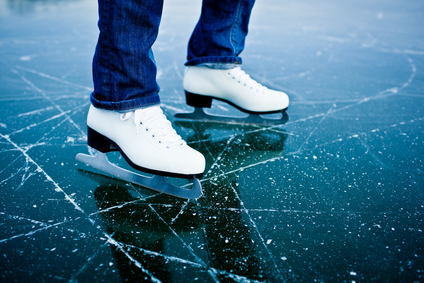 Preston Apartments has gathered the following list of rinks and arenas to help you make the most of the winter cold. Kew Gardens is a beautiful 6.5-hectare park located on the edges of Queen Street East and the Beaches, located 18 minutes from 90 Eastdale Avenue and 2 Secord Avenue on the TTC. The park is home to a full-sized outdoor skating rink open throughout the winter. People of all ages are welcome to drop in or parents can register their toddlers for regular lessons. The park also features an outdoor fire pit, washrooms, change rooms and a snack bar. Monarch Park is near Danforth and Coxwell Avenue, a nine-minute drive west of 90 Eastdale Avenue and 2 Secord Avenue. The park complements the winter with an outdoor ice rink open to all ages. Like almost every public rink in Toronto, this one features nearby dressing rooms to gear up onsite. There is also a large off-leash area in this five-hectare park where residents with dogs can take a break from the ice. Look for Dieppe Park a seven-minute drive west of 90 Eastdale Avenue and 2 Secord Avenue. This three-hectare park features a number of activities with camps in the summer and an operational outdoor skating rink in the winter. This rink is one of the most popular in East York because of its double-pad design that allows for non-stop skating. Of course, Dieppe has its own change rooms to bundle up on colder days. It feels good to get fresh air, but East York Memorial Arena is the place to go for the best indoor skating when winter temperatures drop too low. Both toddlers and adults can register or drop in for learn-to-skate programs. Memorial Arena's indoor rink earns the highest rating according to Toronto's Parks, Forest and Recreation service. Visit the City of Toronto online for more information about public skating in a variety of neighbourhoods. Remember it's never too late to learn how to skate or make it a regular routine when rinks and arenas are so close to 90 Eastdale Avenue and 2 Secord Avenue.